Over the years, Oliver Koletzki has continuously cited Berlin as a point of reference and, more importantly, a source of inspiration. Two of his albums Großstadtmärchen and Großstadtmärchen 2 have been a direct ode to the capital. Friedrichshain, one of Berlins vibrant districts, has always held a special place in Olivers heat. This is where he started out when he first moved to the city, and this is where he lives now. Schneeweiss, one of Friedrichhains best and most loved restaurants, is just around the corner. Over the course of eight years, the stylish eatery has impressed many a Berlin foodie with its contemporary take on alpine cuisine and attention to detail. Music is part of the experience here, which is no surprise due to one of the owners extensive background in Berlins club scene of the early days. Pairing striking award-winning interior design with a homely laid-back atmosphere, Schneeweiss welcomes everyone with open arms: Kiez locals and celebrities, students and businessmen, hipsters and families all can be found here, Oliver Koletzki among them. Thus, after many a late-night label dinner an idea slowly formed. 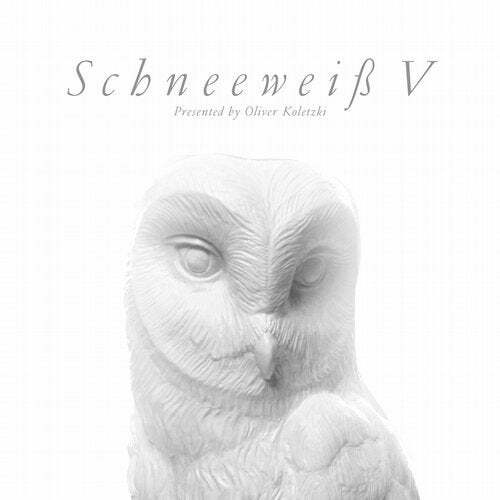 Why not join forces and collaborate on a compilation that represents both, Oliver Koletzkis and Schneeweiss taste? Compiled specifically with the restaurant in mind, SVT158 once again convinces as a tasty treat for the music connoisseur and a musical treat for the culinary aficionado. Bon Appétit!